Three quarters of the one million-plus licensed attorneys in the United States work in private practice, and Kevin Quigley is one them. Quigley, partner at the national law firm of Quarles & Brady LLP, was recently appointed as the new general counsel of the Greater Phoenix Chamber of Commerce. He succeeds Anne Kleindienst of Polsinelli, who served as general counsel for more than 10 years. 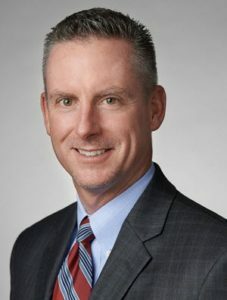 Specializing in the area of commercial litigation and regulatory law, with an emphasis on consumer lending, property disputes, defamation, and contract and lease disputes, Quigley brings more than 20 years of experience to his new role assisting the Chamber with governance and other legal compliance matters. He will also continue to serve on the Chamber’s board of directors. Personable, civic-minded and family-focused, Quigley’s passion, profession and work ethic are clearly in his DNA. The accomplished litigation lawyer shared insight on his inspiration to become an attorney, why it’s important for him to lend his time and expertise, as well as the benefits for businesses to be involved in the Greater Phoenix Chamber of Commerce. I’m passionate about helping and advocating for people. My dad was the first lawyer in our extended family. He practiced law for many years and was a judge in Tucson while I was growing up. So I was incredibly inspired by my father’s profession and his strong work ethic. My uncle was also an attorney as well. It’s sort of become a family tradition, as we have quite a few attorneys in our family. Why did you decide to focus on litigation? I don’t know if I found litigation or if litigation found me. When I started practicing, I wasn’t quite sure what specific area of the law that I wanted to focus on. Litigation really appealed to me—much like the reason that I got into the profession in the first place —which was to learn and develop a knowledge base in all different areas of the law. Litigation taught me to analyze a situation and then advocate for the best solution possible, whether it’s a client of our firm, for a board member, for an organization or serving as general counsel for the Greater Phoenix Chamber of Commerce. Fortunately, going to the Sandra Day O’Connor College of Law at Arizona State University turned out to be a good choice in many ways. I actually met my wife in law school, so that was the bonus factor to it. What are your objectives as the Chamber’s board of directors ramps up its FY17 efforts? As a board member, I’m exposed to the goals and mission of the Chamber and it’s great to be involved in an organization that focuses on the business community and economic development. But there’s a whole new aspect of involvement as the Chamber’s general counsel and I look forward to learning much more detail about the various operations of the Chamber, its political action committee, executive committee, the Chamber’s foundation and the various sub-committees. A crucial characteristic for serving in a general counsel role is being approachable, which helps to proactively address issues. So my goal for this first year as general counsel is to quickly get up to speed on all the aspects of the Chamber so that I can support the organization’s mission. Why is it of interest and importance to you to lend your expertise and time to the Greater Phoenix Chamber? As an attorney, I’m not only looking to serve clients, but also to serve the business community as a whole. For me personally, it’s very important to fulfill that obligation to give back to the community. Similarly, the Greater Phoenix Chamber of Commerce is one of THE go-to organizations that help foster business growth and economic development in a meaningful way to really make the state of Arizona, and in particular the Greater Phoenix community, a vibrant and great place to live. So for me, it’s an avenue to give back to the community in an area specific to where my legal practice is. What do you see as the biggest priorities of the Chamber’s board of directors? I think the big focus is the collaborative Phoenix Forward economic development initiative, a well-conceived program that grows and retains vibrant business in the Phoenix community and the region. Phoenix Forward is the embodiment of the Chamber’s priorities. Why should businesses get more involved in the Greater Phoenix Chamber of Commerce? What’s in it for them is a greater opportunity to be part of our dynamic and vibrant local economy. A strong business organization can accomplish a lot in an efficient way and usually with good results. And the Greater Phoenix Chamber of Commerce is one of those organizations doing just that, in cooperation with other various chambers and organizations around the state. It’s imperative for local businesses to support the same goals for an achievable outcome. “Many hands make light work” is a favorite mantra of mine. There’s great work to be done and it’s certainly much more achievable through efforts of organizations such as the Chamber.